B&B Sesame Inn Dubrovnik, Hotel Croatia. Limited Time Offer! B&B Sesame Inn. "B&B Sesame Inn" has 3 stars. It is situated in Dubrovnik. The rooms have been described as being bright. Thanks to the relieving air conditioning, the temperature is never too hot. Enjoy some fresh air in the private garden. There is no need to leave the comfort of the hotel for dinner as there is an onsite restaurant. For a drink before or after dinner, feel free to take a seat at the bar. To add to your stay, there is a continental breakfast in the morning. You can go online at no extra charge and make use of the airport shuttle. 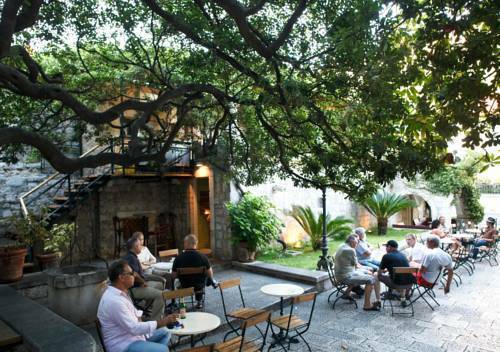 Dubrovnik Center Apartments are within a 3-minute walk from the beach, Old Town’s Stradun Street and Srdj Cable Car Station. Minčeta and Lovrijenac Fortresses can also be reached in a 3-minute walk. Only a 5-minute walk away from Dubrovnik's nearest beach, Stradun and Old Town, Guesthouse Peter offers spacious bright rooms and a large sun terrace. Free Wi-Fi is available throughout the property.